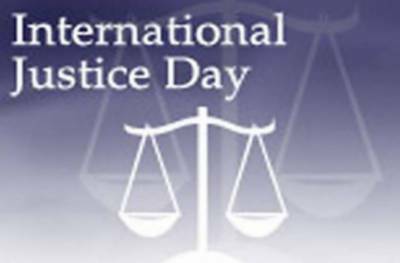 Lahore (Web Desk): World Day for International Justice is being observed on today, July 17 across the globe as part of an effort to recognise the emerging system of international criminal justice. It marks the anniversary of the adoption of the Rome Statute this day in 1998 which seeks to protect people from genocide, crimes against humanity, war crimes and the crime of aggression. The Day unites all who support justice, promote victims' rights, and help prevent crimes that threaten the peace, security and well-being of the world.